A serious injury can change your life forever ─ both physically and financially. Immediate and ongoing medical bills, combined with time missed from work can put a huge strain on your family. When that strain was triggered by someone else’s negligence, you have a right to demand compensation through a personal injury lawsuit. At Mickle & Bass, our skilled South Carolina personal injury attorneys have a long track record of successfully recovering maximum compensation for our deserving clients and their families. We have an in-depth understanding of how insurance companies fight personal injury claims, and we will use our vast resources and knowledge to build a strong case for you. Contact us now to schedule a free consultation and learn how our dedicated team will fight fiercely for you. Because we are sensitive to injured victims’ financial needs, we do not charge any fees upfront to start working on personal injury claims. In fact, we only collect payment from you if and when we recover compensation in your claim. Schedule a free consultation today by calling or filling out our online contact form. Our dedicated personal injury attorneys can meet with you in Columbia, Rock Hill, Myrtle Beach, Charleston, or anywhere else in South Carolina. We can come to your home or hospital room, wherever is most convenient. Why Do You Need a Personal Injury Lawyer After an Accident? car crash, you may be wondering whether you really need an attorney to handle your claim. The truth is: Any time you are going up against an insurance company, you are going up against a team of attorneys who fight claims like yours on a regular basis. The insurance companies are focused on their bottom line, which means denying claims or paying out as little as possible. You deserve to have a skilled South Carolina personal injury lawyer who is focused on doing what’s best for you. Schedule a free consultation with our team today to discuss your legal options after a serious accident. Don’t let an insurance company intimidate you into accepting less than what your claim is worth. Our dedicated South Carolina personal injury attorneys are here to help. In any personal injury claim, it is crucial to account for all your expenses and losses related to the accident. This includes losses you are expected to experience in the future as you cope with your injury. Our team will work with our network of medical experts, financial professionals, and economists to determine what your long-term costs will be related to the accident. This process takes time because we need to have a full picture of what your recovery will look like. If an insurance company approaches you with a personal injury settlement offer, do not sign or agree to anything without consulting our attorneys. Particularly in the days or weeks after a serious accident, the insurance companies will try to take advantage of injury victims who are feeling the financial strain. These initial offers will not amount to the full and fair compensation you deserve. What Are the Time Limits for Filing a Personal Injury Claim in South Carolina? South Carolina’s statute of limitations, or time limit for filing a claim, is three years from the date of injury in most personal injury cases. Although this can seem like a lot of time, it is important to remember that investigating and building a strong case can be complicated and time-consuming. Plus, insurance companies often employ delay tactics to push victims up against that deadline in hopes of avoiding having to pay a claim. You should talk to our experienced South Carolina personal injury attorneys immediately if you have been hurt in an accident due to someone else’s recklessness or negligence. Contact us today to schedule a free consultation. 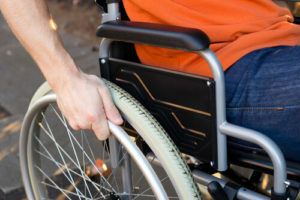 What Is a South Carolina Personal Injury Case? If you or a family member has been harmed due to an individual’s or company’s negligence, you need to talk with our knowledgeable attorneys about what to do next. Schedule a free legal consultation today to get started on your case. You shouldn’t have to worry about your financial future because someone else’s negligent behavior left you with a serious injury. Contact our South Carolina personal injury law firm today to learn about your legal right to compensation. Our compassionate legal team will provide a free, no-obligation consultation. And you can trust that we will not charge you a fee unless and until we recover money for you.